The iCivics web-based game is one of the recipients of the Next Generation Learning Challenges grants. Today, the Next Generation Learning Challenges (NGLC), an education technology grant program funded by the Gates Foundation, announced the 19 winners of its latest wave of project funding aimed at the K-12 level. Last fall, the Gates Foundation announced its NGLC initiative, a multi-year project to help support programs that boost college preparedness and college completion. The first round of grants, announced earlier this year, were aimed at developing tools for higher education. While those grant recipients aim to address some of the factors that cause students to drop out of college, the recipients of the second round of grants, announced today, tackle the other end of the spectrum: the factors that make students ill-prepared for college. This $7 million round of funding asked for proposals that use technology to address some of the Common Core materials and to help build both educational content and and assessment tools. The 19 recipients are mostly a blend of private companies and universities. The Louisiana Department of Education - the only public K-12 grant winner in this round - will use the funding to expand its virtual school algebra program. 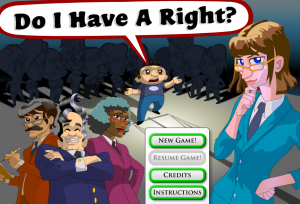 The iCivics program, another recipient, is an online civic education platform founded and led by Justice Sandra Day O'Connor, and its civics and literacy curriculum will be will be further developed. Although the grant program said that entrants should be able to demonstrate a history of results, there were several "proof of concept" endeavors among today's winners, including a project by Classroom Inc to build out its Sports Network career simulation module, aimed at at-risk and below reading level students. NGLC is taking a sweeping approach to addressing the problems around college completion rates in the U.S. by addressing issues at both the K-12 level and in college itself. It also has an interesting tact of supporting startups, established technology companies, universities, and K-12 schools. There has been quite a bit of interest in the grant program, and this round had over 230 proposals. A third wave of grant opportunities will be announced later this year.